Dinosaur erasers are featuring the best dinosaurs. 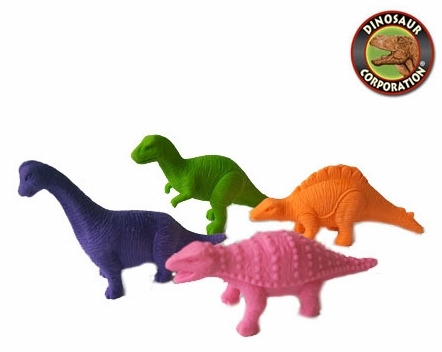 Dinosaur erasers will fit your required Back To School Supplies! * 4 dinos T-rex, Stegosaurus, Ankylosaurus and Brachiosaurus per set.